Utility vehicles serve practical purposes for a wide range of individuals and professionals—from the farmer who needs to traverse acres of land to tend it, to the warehouse manager who’s always on the move, to the groundskeeper responsible for complete campus upkeep and beyond. If you’re in the market for a new utility vehicle, make Dallas Mower LLC your destination. We carry only the best products from top name brands, including bestsellers from American Landmaster. 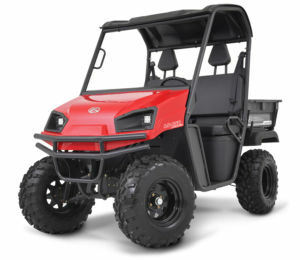 We’ve taken great pride in setting ourselves apart from other dealers, to become the premier source for UTVs in Paulding County, GA.
An incredible 4WD machine at an incredible price. 500cc V-twin commercial engine, lockable rear diff. Hunt, work, or play, this one has got you covered. Options: roof, windshield, winch, front rack, rear seat kit, mirrors and more. This Honda powered UTV is happy at work or play. A lockable rear diff will keep you out of trouble. 1100 lb towing capacity. 2WD. 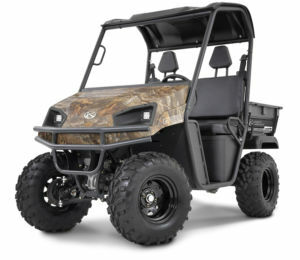 We have access to the full range of American Landmaster products and accessories, giving you the ability to consider all of your options and pick the UTV that’s right for you. If your utility vehicle needs fall outside of the scope of standard features, let us assist you in finding the right equipment and accessories to go with it. From apparel and gloves, to buckets, baskets, wheels, plows and tires, we’ll help you make your UTV investment one that’s beneficial to you in any capacity. If you’re in the market for a new utility vehicle or are sizing up the options available to you for a future investment, visit Dallas Mower LLC today. Our knowledgeable staff will help you find the products you’re looking for and can help you understand the many benefits of a UTV that interests you. Stop in or contact us today at 770-443-0608.